Toro Rosso wants to run a Japanese driver in Formula 1 "sooner or later" as part of its alliance with Honda. The Red Bull junior team currently fields Pierre Gasly and Brendon Hartley, both of whom have long-standing links with the energy drinks company. Honda backs its own drivers in feeder categories, with Nirei Fukuzumi and Tadasuke Makino currently racing in Formula 2. 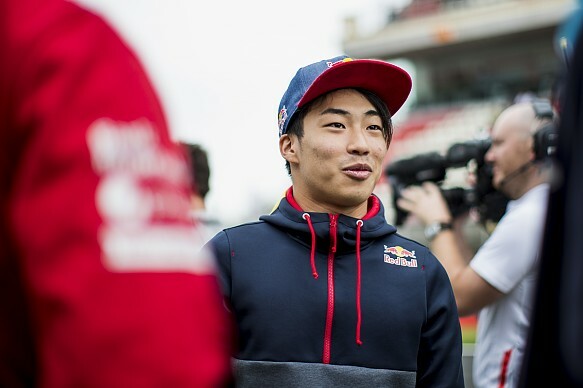 Fukuzumi finished third in GP3 last season and has been made a Red Bull athlete, though not a formal member of its junior team, making him the logical choice if he can secure a superlicence. Asked if Fukuzumi was a driver option for next season, Toro Rosso team boss Franz Tost replied: "Of course, there is the Honda link. And what we want is to have sooner or later a Japanese driver. "Here, it is in his hands. He must show a good performance and then we will see." Fukuzumi's GP3 result earned him 15 superlicence points, which means the 21-year-old needs to finish in the top four in F2 to meet the requirements for a race seat. He has so far scored just one point in the opening six races and lies 18th in the championship. That is one place and three points behind Makino, with whom Fukuzumi crashed in the previous race in Spain. 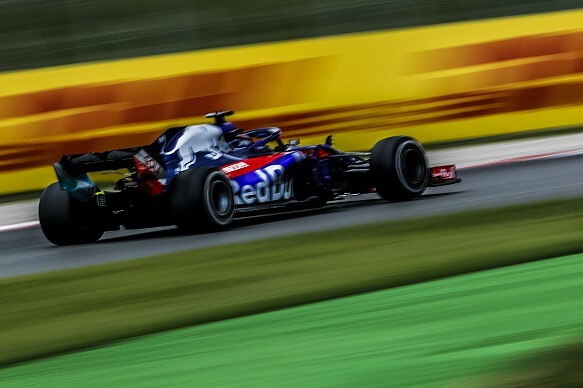 The option of fielding a Honda driver at Toro Rosso formed part of the early discussions the Japanese manufacturer has had with Red Bull over supplying the senior team with engines in 2019. Honda motorsport boss Masashi Yamamoto told Autosport: "It is very important for Honda to make Formula 1, and motorsport, more popular once again in Japan. "In that sense it's really important to have an F1 driver. "The F2 drivers are fighting for the championship, they have to get the superlicence. "For sure, adding a team gives us a better opportunity to put a driver at other teams." Having a Honda protege eligible for selection would be a big help to Red Bull, which faces a possible driver dilemma. Daniel Ricciardo's future with the senior team is unclear, and if Carlos Sainz Jr makes his Renault loan move permanent then Pierre Gasly could be promoted from Toro Rosso to partner Max Verstappen. That would leave at least one seat available at Toro Rosso, although Hartley has also endured a tough first full season in F1 after his shock return to the Red Bull programme near the end of 2017 when Porsche's LMP1 effort came to an end.